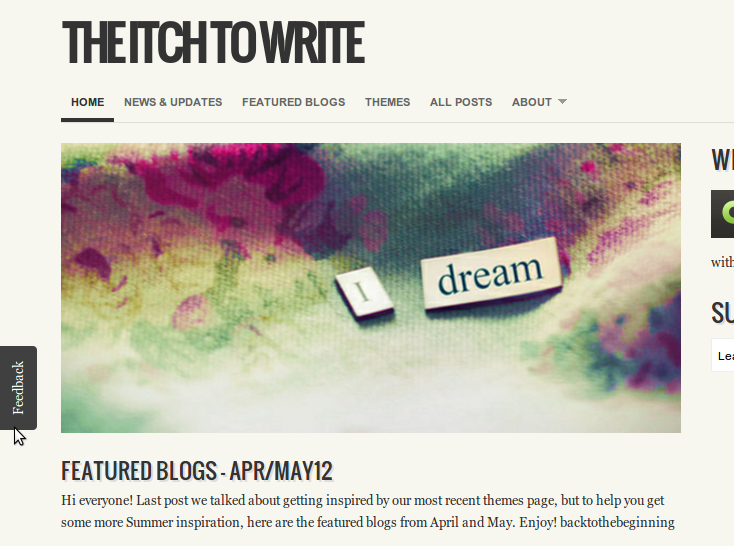 The contact form feature on Blog.com will allow you to have a feedback button / contact form floating on your blog or in a page / post. 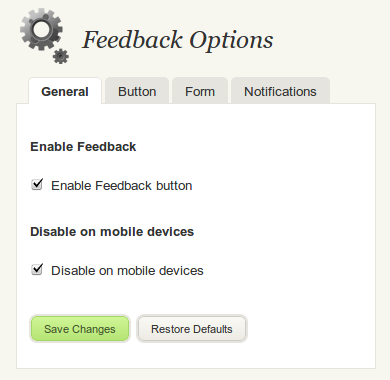 To enable this, go to Settings → Feedback in your blog’s dashboard. Tick the option Enable Feedback button in the first tab – General. You can also disable it for mobile devices, which we recommend. Just replace the ‘Contact us’ part for the message of your choice and you’ll get a link like this – Contact Us – which will make the contact form appear. All messages will be sent to your admin email address (not like comments which you see in your blog’s dashboard). If you’d like to use some other email address of yours, change it Settings → Feedback → Notifications. You can customize the ‘Feedback’ title and the introductional text (e.g. ‘Please tell us what do you think, any kind of feedback is highly appreciated.’) for something else in Settings → Feedback → Form. Go to Settings → Feedback → Form and disable the 4 types of feedback (Idea, Problem, Question, Praise) by simply unchecking the option Ask for feedback type. +–Can I customize the contact form? In Settings → Feedback → Button, you’ll be able to change the colors of the background and text as well as enable/disable the border used in the contact form.